You should see the Brandberg Mountain, its rose-coloured granite glowing in first light! Have you seen it under the full moon? Don’t wait too long. It is a magnificent mountain, unspoiled, breathtaking. The Brandberg, the ‘Mountain on Fire’ in the local Damara people’s language, is a 30km x 20 km massif which dramatically pops up out of the desert plain, so the view from anywhere is one of distance: all the way to the sea on the west, 100 km away but quite clearly visible with its attendant Atlantic fog bank, and all the way to nothing in every other direction. Some mountains have paths to follow. With the Brandberg you choose a ravine and you scramble, rock hop, boulder and climb all the way as the slow-cooled crystals tear at your fingers. But attaining the highland meadows is so worth the effort: in season, streams of icy mountain water run through them, and there are large acacia trees, giant aloes and masses of wild flowers up there, as well as the evidence of klipspringers, leopards and little wild hares. And Kaokoveld dassies, small rabbit-sized creatures that creep about in the shadowy clefts and crannies of the scorching rock. Black eagles wheel against a cobalt sky and whisper across the crags and their watchfulness make you think of Tennyson and his eagle. Once, Bushmen lived here. And they painted. The caves are full of a riot of art, overlapping with no respect for the previous artist’s work, and featuring a wide range of styles. These people were travelers and carried their images in their minds: there are paintings of lions, elephants, giraffes, rhinos, mountain zebras, even horses…and in one great cave, a 10 m long python curls across the tall open face, always warmed by a setting sun. On the floor, if you are watchful, are stone tools created from a rock not found on the mountain, carried there from a distant source. And the spoor of a leopardess, perfect in its form. The Brandberg is very hot and it is very cold; but these people chose temporary residence up there on a mountain island surrounded by plains dotted with springboks, and walked the many kloofs in search of other food. I wonder what they thought about? Their paintings are ethereal and hard to fathom. What dreams did these folk have? What message were they trying to portray? We struggle for 9 hours to Konigstein, the highest peak (2580m, having started that day at 500m) and sign our names triumphantly in the summit book. We too like to leave our mark. But the point of the mountain is never quite that: it is about being in a place of wilderness, with good people. Nowhere is the walking easy. 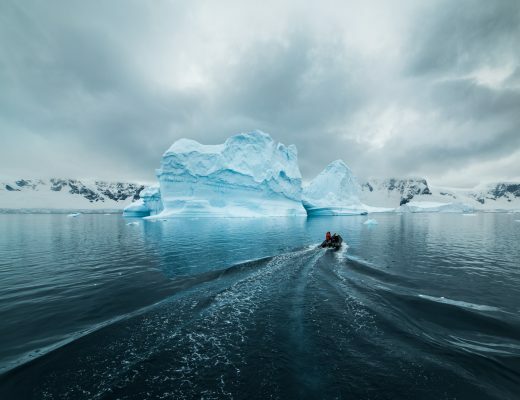 Having attained the top, and the pleasure of the meadow, one camps; but if you want to reach the adjoining flats, you pay your dues by hiking hard over the rocky ridges to the next one. And water is never guaranteed; indeed, it is only the little buntings that know where the last pools lie hidden after the rains have passed. Follow their flight if you need to drink. We spend the night perched on a platform of rock and gravel and the southern sky wheels slowly overhead, the great planets moving inexorably toward the western rim and the reddening morning, and in the fresh day a Bokmakierie shrike stridently calls us to rise and witness a distant dawn. The Brandberg has me in its grip and I have no choice but to return and walk through its inviting valleys and amongst the rocks that dwarf me. But to share the experience is vital: you want to talk about it, become re-energised by it in retrospect, and for that you need companions who understand, who speak your language. People who love the challenge and mountain equally, and together. As the Bushmen did. 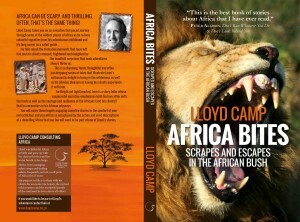 Lloyd Camp: Safaris guide providing an elegant personal service in Africa. 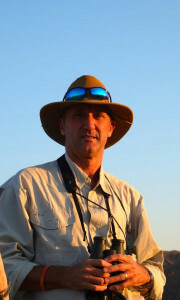 Author of Africa Bites, documenting scrapes and escapes in the African bush. To be entertained around the fire and see parts of Africa you didn’t know exist you can book your own personal or group tour with Lloyd. Soulhub Source: Lloyd and his wife Sue are more frequent runners than me at Richmond Parkrun, and we’ve developed a lifelong friendship over coffee’s, runs and dinners. He’s s storyteller like no other.